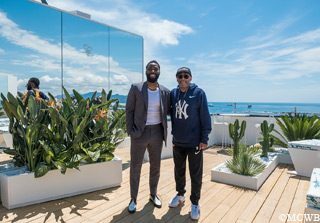 All eyes are on Blackkklansman, in competition at the Cannes Film Festival, by American director Spike Lee. The director chose the Mouton Cadet Wine Bar for its privacy and priviledged view on Cannes Bay. Twenty seven years after Jungle Fever was nominated in Cannes, Spike Lee is back with a dream cast composed of John David Washington, Adam Driver, Laura Harrier and Topher Grace. Today they were all present at the Mouton Cadet Wine Bar to answer questions from the press. By the way, did you know it was also twenty seven years ago, in 1991, that the family company Baron Philippe de Rothschild became Official Supplier of the Cannes Film Festival ?